We have a new song on our rainbow-themed March playlist at Scrap it with a Song today. 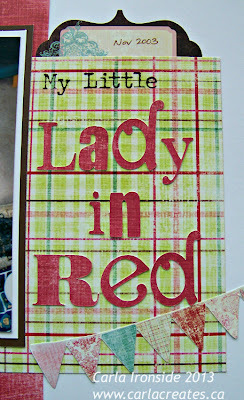 Our song for this week is Lady in Red by Chris deBurgh. The sketch is by Liz Chidester at The Scrappiest. The papers and stickers are from Fancy Pants "Wishful Thinking". I won this collection ages ago and finally had a chance to play - love the bright playful colours. The rub-on alphas are also Fancy Pants. I cut the "Lady in Red" title with my Cheerful Seasons Cricut cartridge from Creative Memories. 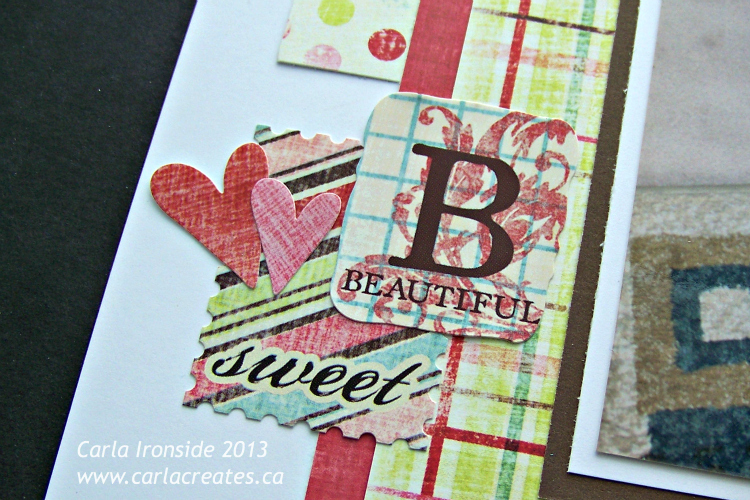 Cardstock is CTMH (Chocolate & White Daisy). I'm linking up to the inaugural challenge at Scrap Your Story which is to use 1 photo on your layout. Hope you'll join us this month at Scrap it with a Song - - let this song inspire your next creation and link up with us for a chance to be a Guest Designer. Super cute Carla!! 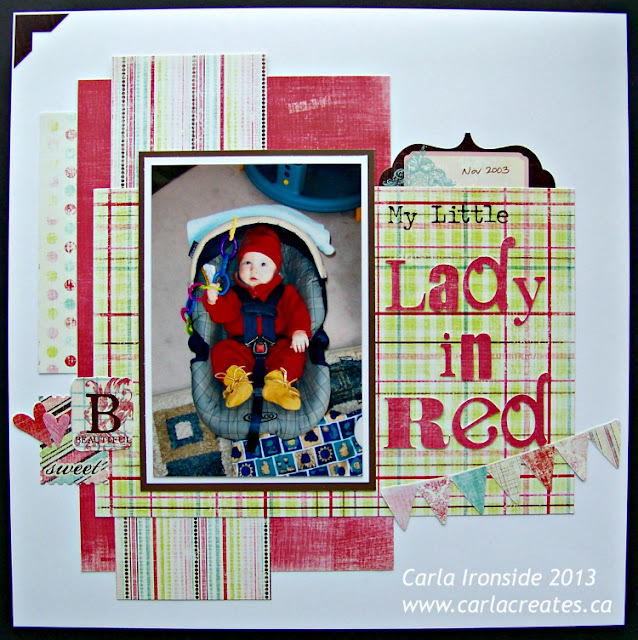 I love the color combo here and the little "lady in red" baby! What an adorable page! Your lady in red is a cutie! What a darling photo with great colors and layering! Thanks for playing with us at SYS! This is so adorable Carla. I love your title and the photo! Great design! Thanks so much for joining us at SYS!!! This is great! I love that title work! The papers are perfect for that photo -- they totally make the red suit POP and bring your focus to the photo. I love this! Thanks for playing at Scrap Your Story! I love this layout Carla. The dimension and depth on it are wonderful. Might just have to scrap lift this one! !